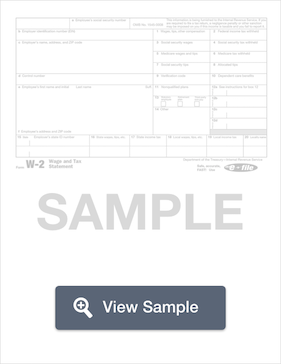 A W-2 form is used for filing taxes. It is a form that an employer must fill out and then provide to the employee during the tax filing season. 2 Create a free account. A W-2 form, also known as a Wage and Tax Statement, is a form that an employer completes and provides to the employee so that they may complete their tax return. Form W-2 must contain certain information, including wages earned and state, federal, and other taxes withheld from an employee's earnings. Forms W-2 must be provided to employees before January 31. Employers must also file a copy with the Social Security Administration to keep them aware of an employee's earnings. The SSA must receive it by the end of February. If you need to complete it, make sure you include all the required information. You will also need the employee's personal information, such as their full legal name, address, social security number, and employee ID if possible. Check for accuracy. Using the wrong information could cause problems for both the employer and the employee when they file their income tax return. Create a free W-2 Form in minutes with our professional document builder. You’ll also need information about the compensation paid to the employee. The information is placed into specifically numbered boxes. You’ll learn more about those boxes and what goes in them a little later in this guide. Having accurate information about compensation and taxes is arguably the most important aspect of completing the W2. You’ll also need financial information (total taxable wages and taxes paid) to the state. You’ll notice that there are two lines under each box. This is for employees who work in two separate states for the business issuing the W-2. If the employee only works in one state, the employer would only fill out the top line for each box. You’ll learn more about the state boxes later in this guide. Instructions for calculating the following are included with the W-2. Your bookkeeping software should automatically calculate this based on information about your company, its location, and the withholding allowance selected by your employee. Also, remember that tax laws can change every year. Your bookkeeping software may or may not automatically update to reflect the newest information. So, it’s important that you stay on top of the yearly changes and, if necessary, consult a tax expert on behalf of your business. Federal income tax: Use Publication 15 as your guide when calculating this. State income tax: Total state taxes withheld from an employee's wages throughout the year; more information can be found on your state website. Local income tax: Total local taxes withheld from an employee's wages throughout the year. Locality name: A short description of the state or local tax being paid. Social security tax: Usually a 12.4% deduction, with 6.2% coming out of the employee's wages and 6.2% coming out of your own. There is a maximum amount that can be taxed, but it changes by year. Up to date information on these tax rates can be found here. Medicare tax: Typically, a 2.9% tax in total, with 1.45% coming from the employee and 1.45% coming from you. Double check your work; this means double-checking the math if you’re calculating taxes by hand, spelling of all the names and street addresses, and ID codes such as the SSN. Meet your deadlines. There are certain deadlines that you must meet as an employer when it comes to providing tax forms to your employees and to the tax agencies that need the information. Deadlines can vary by year or circumstance. Check this section of the IRS website for details. Copy A goes to the SSA. Copy 1 goes to your state, city, or local tax department (you can learn more about your area's requirements on its official website). Copies B, C, and 2 go to the employee. Copy D should be retained by you for four years. How Do I Fill Out a W-2? The W-2 is probably one of the most common tax forms used by people. The myriad of boxes and blanks on can seem frustrating at first glance, but now that you understand them from reading about them earlier in this guide, filling out the form should be easy for you if you must do it by hand. However, first check your bookkeeping and payroll software (or with the company that helps you with your payroll) to find out if the form can be automatically generated for each employee by the end of January. In Box B you’ll list the EIN for the business. In Box C you’ll add the employer’s name, address, and zip code. In Box D enter the control number assigned by the company’s payroll processing system. Next, use Box E to list the full name of the employee. The first box is for the employee’s first name and middle initial. The second box is for the last name. The small box is to list a suffix. 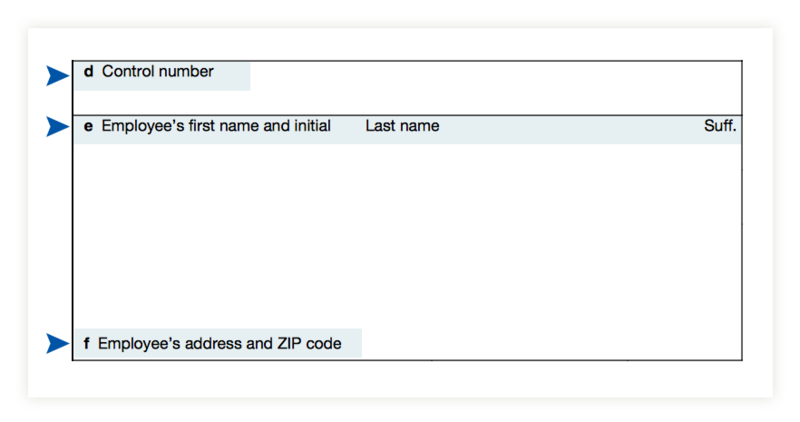 Record the employee’s address (including city, state, and zip code) in Box F.
Next, address the boxes with numbers. Start with Box 1. List the wages, tips and other compensation paid to the employee. This number should include hourly wages or salary, tips, and bonuses. In Box 2 list the amount of money withheld for federal income taxes. Box 3 lists the individual’s social security wages. Box 4 documents how much Social Security tax was actually withheld on behalf of the employee. In Box 5, you’ll list the amount of income eligible for the Medicare tax. In Box 6, you’ll document: the amount of the Medicare tax actually withheld. Use Box 7 to record tip income that was reported by the employee to the employer. Use Box 8 for any tip income that was assigned to the employee by the employer. Use Box 9 if you’re still involved in a verification code program. On most W-2s, this box is blank. Use Box 10 to list any amount of money for dependent care that was reimbursed through a flex spending account, paid directly to a provider by the employer, or paid to the employee to reimburse dependent care expenses. Box 11 isn’t used by most businesses. However, if necessary, you’d use it to report money paid to an employee as part of a on-qualified compensation plan or non-government pension plan. In Box 12 you’ll list deferred compensation. This usually involves savings or retirement plans. You’ll check the appropriate boxes in Box 13. In Box 14 you’ll list any additional information that must be reported. Box 15 marks the beginning of state information. The employer’s state employer tax identification number will be listed here. There’s room for you to list information for two states for one employee. Box 16 lists the total number of taxable wages earned in the state. In Box 17 you’ll list the amount of state income tax withheld. Use Box 18 to record the amount of an employee’s wages that are subject to local, city, or other taxes. In Box 19 you’ll list the amount of local income tax withheld. Box 20 lists the locality or city being paid locally. Common errors on the W-2 form when completing it by hand include making entries using ink that is too light or making entries that are too small or too large. Make sure to use black ink and clear writing if you complete it by hand. If it is being generated by a computer, use a clear font, such as Courier, that is easy to read. Also, make sure not to add dollar signs to the boxes that list dollar amounts. Do not omit decimal points and cents from entries. 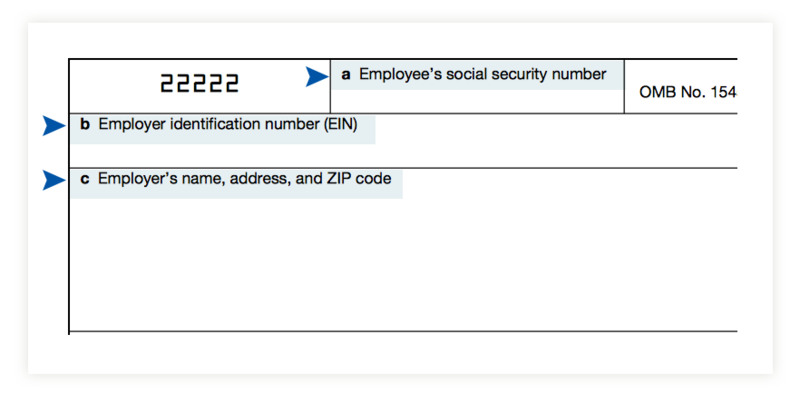 Most importantly, do not incorrectly format the employee’s name in Box E. There are stringent penalties for employers who fail to complete the W-2 form by the end of January. Starting your own business is an exciting endeavor and a dream come true for many people. You get to be your own boss and earn a living while pursuing your very own vision. Yet, it does come with a lot of responsibility and, most of the time, at least some financial stress. Fortunately, the Internal Revenue Service helps small business owners by providing a bit of a tax break. This is very helpful because it takes some of the financial strain off of your business. In the first months and years, startups need to focus on minimizing costs as much as possible. That's why knowing the ins and outs of tax filing for startups is crucial. It can mean the difference between sinking and swimming in the first years of your business. Read this guide on how to navigate startup taxes so you can stay on top of your finances and your filings when tax time rolls around. Filing taxes as a startup can be a lengthy process. Don't leave it until the last minute. Ideally, you should start your paperwork as early as possible, but make sure to begin at least a month before the April 15th deadline. There are always expenses and payment receipts that must be chased down. 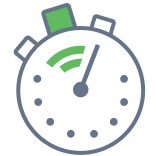 Especially in the early years of your business, you probably won't have a smooth process in place to ensure everything gets wrapped up quickly and easily. If you can afford to do so, hiring an accountant will make your taxes much easier. Try to find an accountant who is skilled in working with startups. Such a person will be able to provide much better advice about credits and deductions than a more traditional firm that is generally works with large businesses and salaried employees. You don't technically need an accountant, but chances are, in the early years, you are going to be too busy running your business to worry about all the paperwork yourself. Accountants can also offer critical advice and help you make wise business decisions as your company grows. The American Institute of Certified Public Accountants (AICPA) is a recognized and reliable source for finding an accountant. It has a directory of CPAs, accounting companies and local accounting societies. You can also ask other small business owners for recommendations. Startups, like all businesses, are required to pay taxes on a quarterly basis, except for the first year. You can wait until April 15 and pay in bulk after your inaugural year. Waiting doesn’t really do you any favors. It's good to get into the practice of paying taxes every three months. Go ahead and establish a habit of setting aside a percentage of each payment you receive and then reviewing your profit and loss statement every quarter to determine how much you owe. An accountant can help you estimate these payments and set up a dedicated account to contribute money toward these payments. Prices for an accountant will vary depending on where you are located and whether he is certified or not, but according to Entrepreneur, you can expect to pay fees of between $100 and $275 per hour. The type of business entity you choose determines how you will report your taxes and what your tax rates will be. You can choose a sole proprietorship, partnership, LLC, or other form of corporation. There is no tried-and-true way to determine which business formation will work best for you. It’s best to speak with a lawyer or CPA to find out which model will provide you with the best benefits. The right choice will help make more capital available for running your business. Now that you're running a business, one of the best ways you can save money is by keeping track of every single business expense down to the last penny. If you have to commute to meet partners or investors, you can deduct miles driven and gas expenses. Office supplies, rent on office space, food and beverages for employees, hotel stays while you're drumming up new clients, or attending conferences -- don't let these slip through the cracks. The best way to document expenses is to use a dedicated software or an app on your phone so you can enter the expense immediately. Expensify is a great one for tracking expenses. Milebug helps you keep track of travel distances. Mint or QuickBooks can help you record a variety of expenses so you have detailed notes for your taxes. If you use a freelancer or contractor during the year and pay them more than $600, you must issue 1099-MISC forms to both the employee and the IRS. If you don't, you could face a costly penalty. The Small Business Administration is a great resource for helping you find others in the startup community who can provide valuable advice. The SBA provides business counseling and training across the country and can connect you with specific assistance depending on your needs, such as Women's Business Ownership Representatives and the Minority Enterprise Development Program. Taxes don't have to be a daunting task! If you keep clear records, stay on top of your paperwork throughout the year, and work with a reputable software or accountant, you can help your startup save money and increase your chances of success. Startup costs are a little different than regular business deductions because they must be incurred during the planning and development stage of your business. They are literally the costs that are helping you start the business. Many startup owners fail to recognize that these costs include everything you're doing to build and promote your business, including market research, location scouting for your office, staff training, legal fees, communications, etc. Advertising your company or opening is also a legitimate startup expense. Programs such as TurboTax will walk you through all these expenses, as can an accountant if you hire one. Many startup expenses, such as organizational costs, can either be amortized or deducted in full the first year. If you choose to amortize, make sure the costs are incurred before your business opens. Amortization is a good option if you don't expect to bring in a ton of cash your first year. It lets you stretch out the deduction over future tax years when a tax break would be more beneficial. If you are a startup company with annual gross receipts less than $5 million, you can apply up to $250,000 of your R&D credit against your payroll tax liability. This is a recent change that was made to help new small businesses receive credit for R&D. The work opportunity tax credit (WOTC) gives a federal tax credit to employers who hire from certain groups, including food stamp recipients, veterans and other designated community residents. For most of these groups, the credit is up to $2,400 per qualified employee in their first year of employment. The veterans program offers employers a tax credit of up to $9,600 in the first year. Taking advantage of this credit can help reduce your overall tax burden.